Please browse the image galleries to view Dave’s work. The furniture pieces currently displayed in the image galleries are sold. In the near future a new gallery of unsold work will be added. 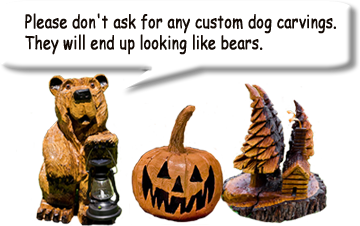 Inquiries about custom furniture pieces or sculptures can be made via Dave's contact form. 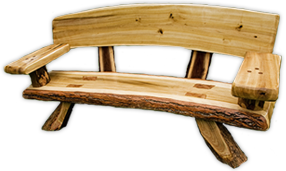 All wood is recycled from local tree removal jobs conducted by Jim Edwards Tree service (585-248-9592). Typical wood types used: Black Walnut, Catalpa, Cherry, Cedar, White Birch. 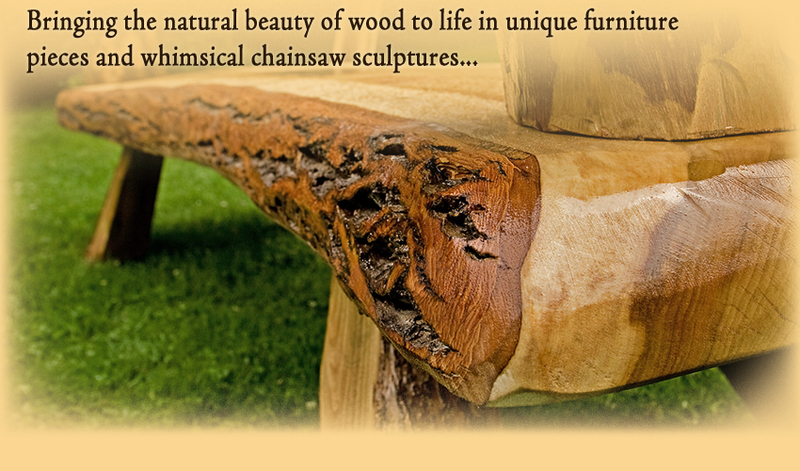 Most chainsaw sculptures/carvings are made from Catalpa wood, which is resistant to decay and cracking. The galleries will be updated with any new designs. The custom painting, etching, and other adornments on the furniture pieces are aesthetic design options that are available for any creation. Contact Dave to start the conversation about paint and design customization options. Payment options: Cash or Check Credit cards are not accepted at this time. Shipping options & fees can be discussed. During the Holiday Season you can visit Dave's Christmas Tree stand at the newly renovated Pittsford Dairy. Besides Christmas trees, wreaths and ornament sales, you'll find carvings, furniture and more on display and available for purchase.